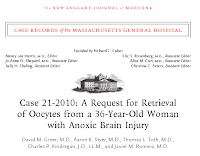 Donating Eggs from an Anoxic Brain Injury Patient? 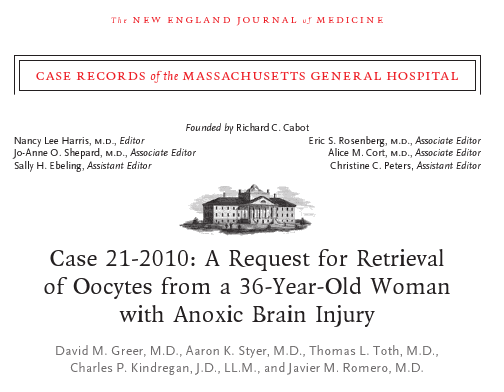 Last week NEJM published an interesting case in the ongoing series: "A Request for Retrieval of Oocytes from a 36-year old Woman with Anoxic Brain Injury." Usually these cases are diagnostic dilemmas. 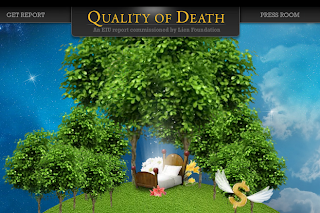 This one focused on an ethical dilemma at end-of-life. It got coverage in the mainstream media as well. A 36-year-old woman, in overall good health taking oral contraceptive pills (OCPs), was on a prolonged international flight, and collapsed. A physician on the plane found no pulse. A 2-hour long, in-flight, complicated course of ACLS ensued with compromised ventilation, until the plane made an emergency landing in Boston. The patient presented to the MGH ED approximately 2.5 hours after her collapse, with unstable vital signs and arrhythmia. She was intubated with a Glasgow Coma Scale (GCS) of 9 with some lateralization, eyes roving, not tracking with disconjugate gaze, brain-stem and spinal reflexes intact. Her work up revealed right lower extremity DVT, with multiple bilateral pulmonary emboli and evidence of right-heart strain. Initial CT and MR neuroimaging was unremarkable. The patient was admitted to the ICU. 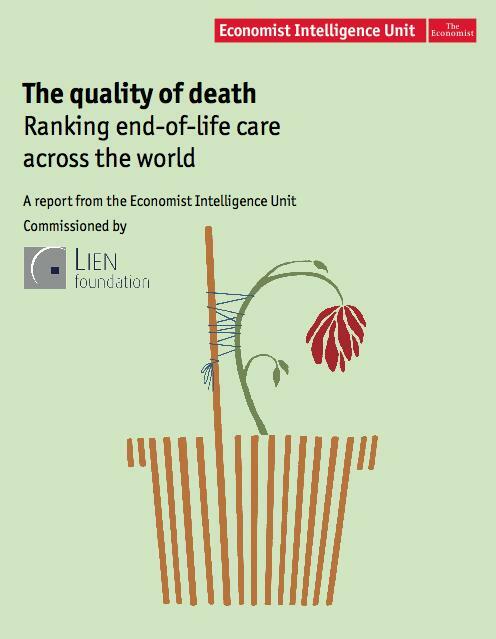 As one of the comments on the Economist website said, “What the heck do they want to promote now – Death Tourism?” As much as I love traveling, I’m not packing my bags just yet. 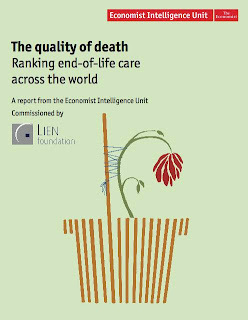 But, I will give you the low-down on the 39-page Quality of Death (QOD) report by the Economist Intelligence Unit and commissioned by the Lien Foundation, which ranks end-of-life care across 40 countries. Go get your travel kit ready... here we go! What Can Palliative Medicine Learn from the Old Spice man? Hopefully most of you have heard of Atul Gawande, one of the more prolific and best physician writers of the past decade. You may have even read one of his books: Better, Complications, or The Checklist Manifesto. I was curious if he was going to get around to focusing on palliative care. The New Yorker published his latest article, called 'Letting Go' early online for the August 2nd edition of the magazine. Journal of Clinical Oncology has published a large (for palliative care), randomized, placebo-controlled trial of long-acting methylphenidate for cancer-related fatigue. It continues the trend of mixed-to-negative findings (in controlled studies) of methylphenidate for fatigue (see the last big-ish RCT here; a negative RCT here for 'prophylactic' methylphenidate; a brow-furrowing meta-analysis of the whole topic here; some grey literature on the effectiveness of modafinil for severe fatigue in cancer patients undergoing chemotherapy), and raises the question is it time to abandon methylphenidate? They shared that the patient got a big kick out of seeing this instead of the common yet false exhortation of 'Get well soon.' 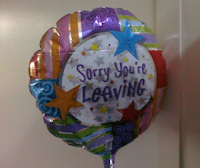 The balloon often took people by surprise when walking into the room, and that seemed to be the zinger the patient enjoyed to give. Since you clicked on the link to Pallimed, I thought I would make it easy for you to find some of our good content, especially related to social media and hospice and palliative medicine. Also check out our sister blogs: Arts & Humanities and Case Conferences, our our blog post labels for blogs and Twitter. 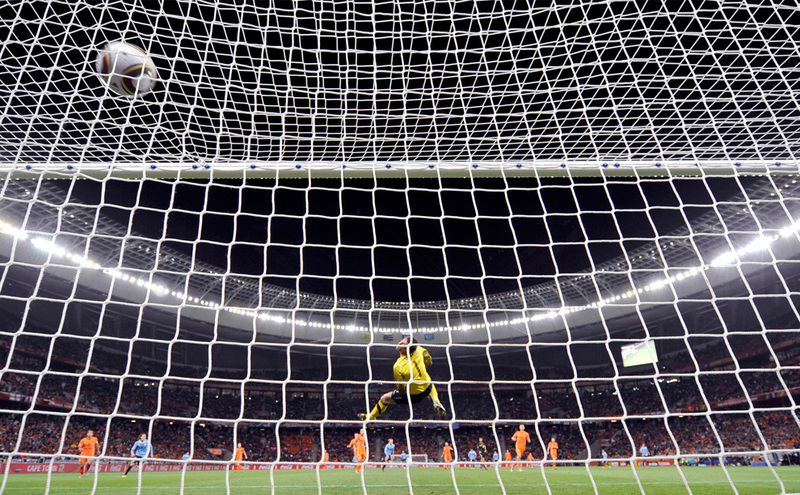 Ahhhh....we can all breathe a collective sigh of relief now that the World Cup is over. The soccer football lovers are no longer anxious and missing work watching games at 930am. The soccer haters can be happy they no longer have to hear about Ronaldinho, Xavi, Bafana Bafana, Vuvuzela, pitches, kits, Jabulani balls and other such inanity. And everyone else can just let out a big sigh, because it helps you feel better and surely the World Cup is stressing you out. But the thing I can't get over is the story of the octopus in Germany who 'predicted' the correct winner of 7 games featuring Germany and the final between Spain and the Netherlands. He has been called Paul the Psychic Octopus but since he really can't read people's minds (like a psychic), most reputable news outlets switched to the somewhat more accurate 'prognosticating' octopus. Palliative Care Grand Rounds was posted last week at Geripal by Eric Widera. He did a great job making a game out of it using 3 seemingly random things mentioned in each post as the heading for each submission. Head over to the always thought provoking Geripal and get the best of the hospice and palliative care blogosphere. 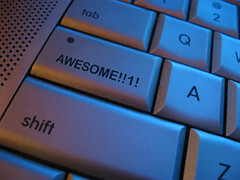 As always go comment on the blogs you read to keep encouraging good content! And if you want to go one better you can email palliative care grand rounds to your teams, post it to your Facebook page and share great palliative care writing. See past postings of Palliative Care Grand Rounds at the PCGR blog. In reviewing the hospice and palliative medicine (HPM) fellowship lecture series for our upcoming academic year, Karin (the fellowship director) and I (hospice site director) talked a bit about self-care as part of a well-rounded curriculum. We have 6 hours of the nearly 100 hours of lecture/small group dedicated to self-care sessions with the faculty, fellows, and community professionals who attend the lectures. 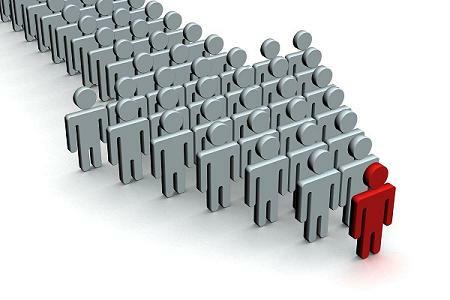 It may seem like a small percentage but when compared to other specialties this is a lot of time dedicated solely to avoiding burnout beyond the normal de-briefings that occur at the point of care during the clinical week.